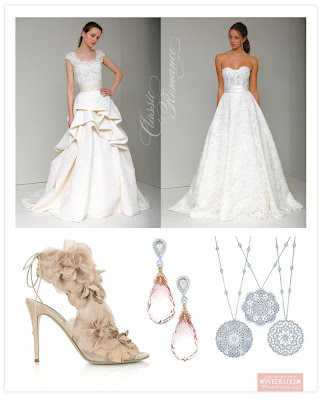 Loving this inspiration board designed by our friends at Wedluxe. We especially love the Tiffany & Co. earrings and necklace. Gowns by Monique Lhuillier (Spring 2010 Collection). Shoes by Valentino.